Suzanna Sherry is the Cal Turner Professor of Law and Leadership at the Vanderbilt University Law School. She received her A.B. from Middlebury College and her J.D. from the University of Chicago Law School. She clerked for Judge John Godbold of the United States Court of Appeals for the Fifth Circuit, then practiced primarily white collar criminal defense law with the Washington D.C. law firm Miller, Cassidy, Larroca & Lewin. She began her academic career at the University of Minnesota Law School, moving to Vanderbilt in the fall of 2000. Professor Sherry's most recent work includes Desperately Seeking Certainty: The Misguided Quest for Constitutional Foundations (with Daniel A. Farber) (Chicago 2002) and Beyond All Reason: The Radical Assault on Truth in American Law (with Daniel A. Farber) (Oxford 1997). Both books critique contemporary constitutional theory. 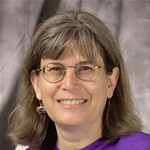 She has written several dozen articles on such topics as constitutional theory and judicial decision-making, First Amendment law, cyberspace law, constitutional history, and state sovereign immunity. She has also co-authored three textbooks.